A new edit of the Ken Block Gymkhana Four video has appeared online. 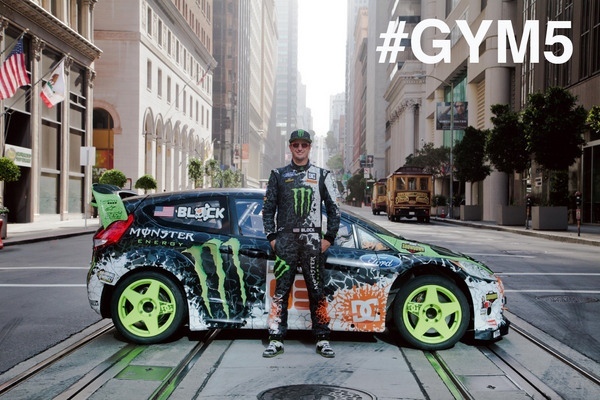 Gymkhana Four was filmed as part of a DC shoes promotion. The new edit of the video has removed the ‘Hollywood’ aspects of the video (read commercial aspects). Gymkhana events are time and/or speed events in an automobile. These can feature obstacles such as cones, tires, and barrels. The driver must maneuver through a predetermined “track” performing many different driving techniques. What separates gymkhana from traditional autocross events is that the gymkhana requires drivers to perform reversals, 180 degree spins, 360 degree spins, parking boxes, figure 8s and other advanced skills. Drifting is also encouraged where helpful or necessary. Essentially, a gymkhana is any event featuring a starting point, a finish line and some sort of “obstacle” to get through, around, or by, all within a certain time limit – Wikipedia. The following is a video of Ken Block going through the L’autodrome in France. His driving skills are simply amazing.